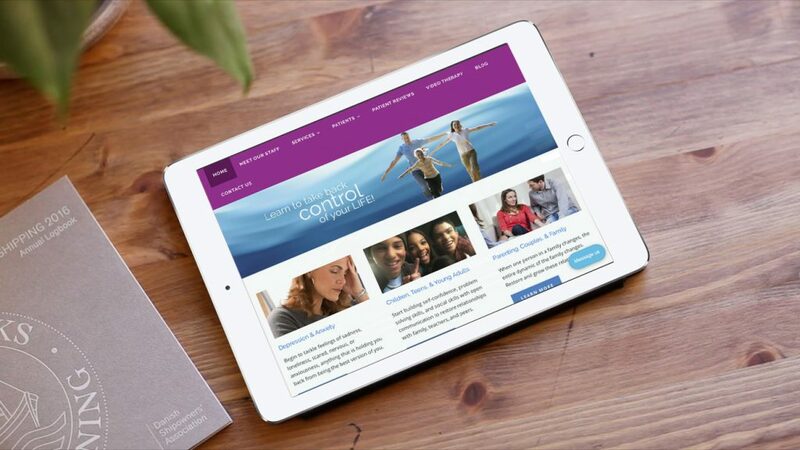 Family Psychiatry of North Jersey approached Snap for assistance with bolstering their digital marketing efforts. At the onset of our business relationship, we met with the client’s key stakeholders to gain a solid understanding of their needs and goals for this partnership. Family Psych’s leadership team understood full well that optimizing their website would have a positive impact on the business, but they lacked the capacity to do so. First and foremost, the client wanted to focus on increasing organic traffic to their website over a nine-month period and double their number of online leads. They also wanted to understand what their competitors were doing online. One of the most challenging aspects of this project was accurately tracking and attributing user activity throughout the website. Family Psych had several communication channels people could leverage to reach them, but there was no clear way to establish which of their marketing efforts were performing well and which were lagging behind. After establishing proper attribution measures, we took a deep dive into Family Psych and their competitors to identify and capitalize on gaps in their digital approach. These efforts empowered our team to craft a tailored, data-driven growth solution for Family Psych’s online platform. Snap’s SEO Team started by developing a targeted keyword list to fuel our content marketing efforts. 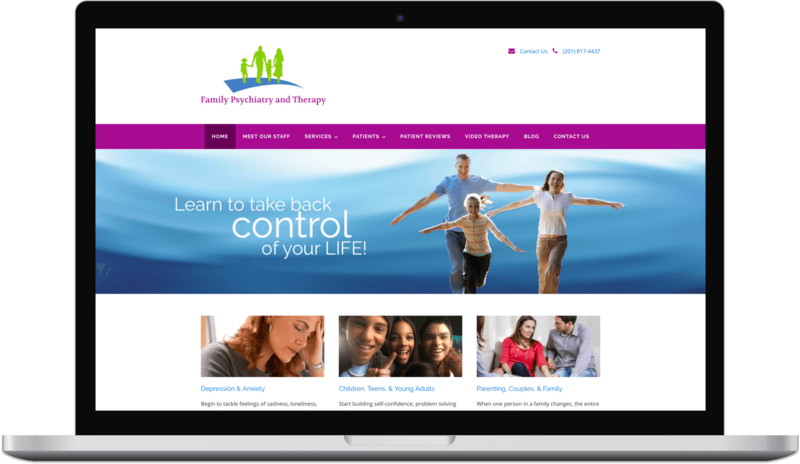 We also updated various technical aspects of Family Psych’s website to establish a solid digital foundation for the client. Soon after, we identified a number of reputable websites that we could acquire high-quality backlinks from to help search engine bots find links to Family Psych’s site and crawl it effectively. During this time, our SEO experts met with the client’s internal team go develop a strong understanding of their brand tone and voice, allowing us to create on-brand, conversion-centered copy and content for Family Psych. Using the content strategy we created with their internal marketing team, we created a range of valuable, keyword-rich blogs and pushed them to Family Psych’s blog to help the client rank on leading search engines and attract qualified web traffic. Snap’s SEO initiatives generated big returns of Family Psychiatry of North Jersey. Within eight months of our partnership, we achieved the client’s goal of boosting organic traffic by 100%. Along with assisting Family Psych with tracking and attributing online conversions, our digital marketing push drove major revenue for the client by increasing their online conversions by 114%. Family Psych’s organic conversions are also up 60% YoY. 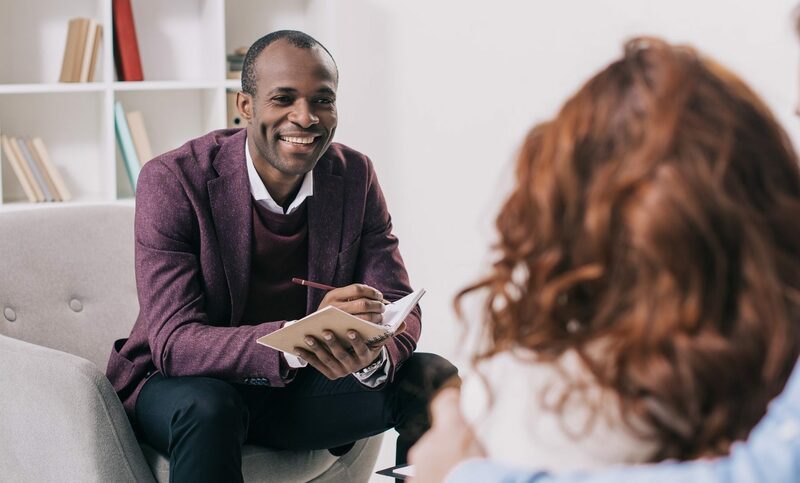 Bolstered by its tremendous digital growth, Family Psychiatry of North Jersey is connecting with even more individuals and families in need and helping them to achieve meaningful behavioral health solutions that restore and rebuild lives.